There are around 113 islands making up the famously flat, subtropical archipelago of the Florida Keys, some of them linked by the equally famous Overseas Highway. Eccentric and eclectic Key West, diving mecca Key Largo and Big Pine Key, which is where the Key Deer reside, are probably the best known and where you’ll find many of the best places to stay in the Florida Keys. 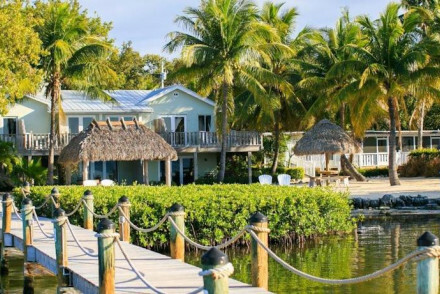 There are so many islands making up the Keys that there is a huge range of choice when it comes to choosing the best places to stay in the Florida Keys, from romantic, historic B&Bs to big modern hotels and secluded tropical resorts. 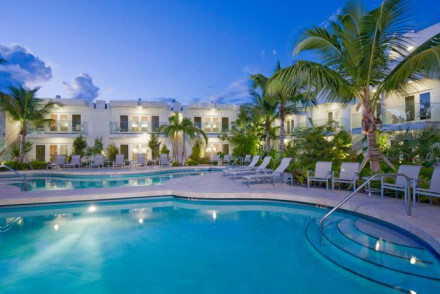 Key West - which is just 140kms from Cuba, has the majority of the Key's official attractions, such as the Ernest Hemingway House and Museum, the Key West Art and History Museum and the Audubon House and Tropical Gardens. The island has a truly unique atmosphere with wonderful old Caribbean villas, vibrant bars, bohemian vibe and abundant tropical beauty. 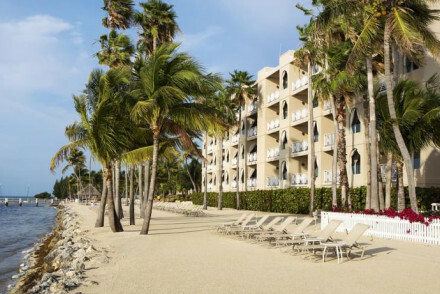 Nestled amidst a mangrove forest Key Largo is the first key you meet as you leave mainland Florida. This isn’t the most spectacular of key at first glance, but dive in - most of this island’s main attractions are below the surface of the water. 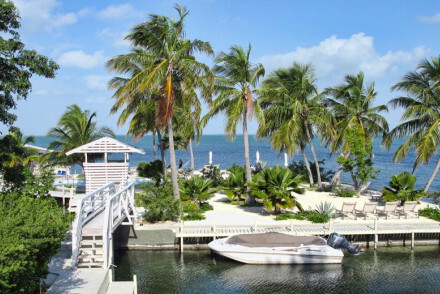 Islamorada is a very pretty stretch of keys and where you’ll find a number of the luxury resort type hotels. Marathon is about half way between Key Largo and Key West and is the one of the most developed keys. 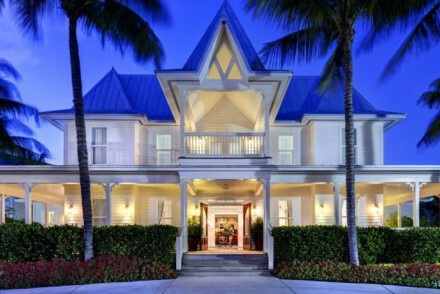 Here you’ll find some of the best places to stay in the Florida Keys for families. 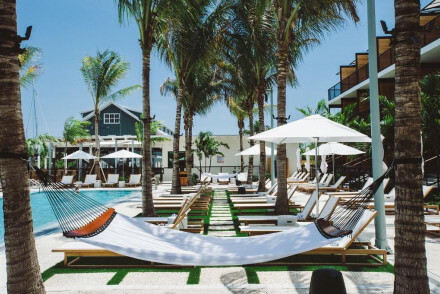 Don't forget that if you want to bag a bed in one of the best places to stay in the Floriday Keys during the busy summer months and peak holiday periods, you'll have to plan ahead and book early. 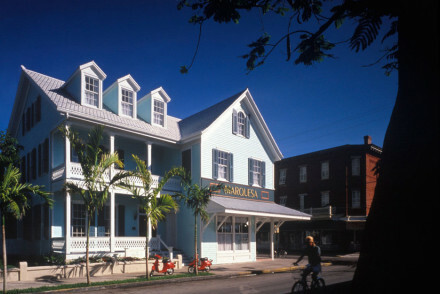 The Marquesa Hotel is a totally unique property with peaked roofs and charming wooden porches. There are 27 rooms with alluring features like marble baths, hand carved beds and heirloom furnishings. There is also an elegant seafood restaurant and you are within five blocks of the Gulf of Mexico and a short walk from all the major sights. 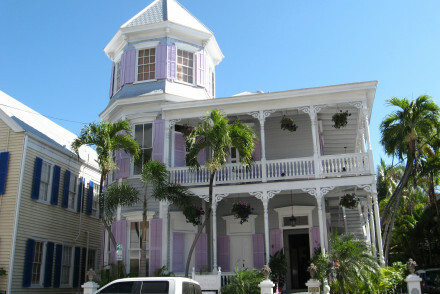 The Artist House is a seven bedroom B&B in a historic Victorian mansion in the heart of Key West. The rooms have wonderful original features and breakfast is served on the front porch or in the garden. Santa Maria Suites is a luxury resort in a brilliant central location offering stylish accommodation, two outdoor pools and a sophisticated Japanese restaurant. 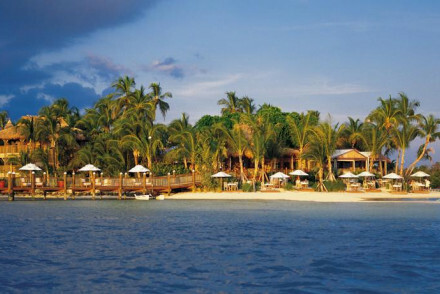 The Coconut Palm Inn is a secluded hotel with just 17 rooms and its own private marina, pool and beach access. The decor is laid back yet elegant and there are plenty of great extras like paddle boards, fishing rods, bikes and kayaks on offer. 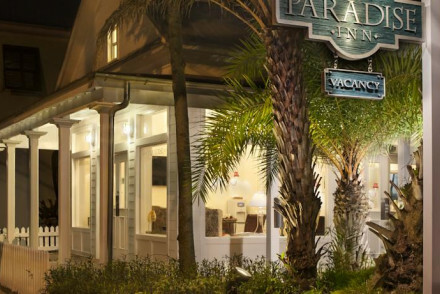 The Paradise Inn on Key West is an adults only B&B with just 18 exquisitely simple rooms, an outdoor jacuzzi and a fountain fed pool. Start an indulgent evening off with the inn's complimentary wine and cheese. If it’s a special occasion you might consider Little Palm Island, a tropical beach resort with their own private marina, spa and beach. Enjoy an intimate private dining experience on the beach or on the porch of your own bungalow. The Tranquility Bay Resort is a collection of two and three bed beach houses set on the pristine white beaches of Marathon. As well as direct beach access there are three pools, a beach bar, restaurant and loads of activities laid on, including kids diving lessons. Casa Morada is another serene beachside retreat with 16 elegant rooms surrounded by lush gardens. Guests have access to the hotel’s private beach as well as the pool with its beach bar. The Cheeca Lodge is a large hotel surrounded by 27 acres of gardens beside the private one mile stretch of beach. This is a spa resort with benefits including a private fishing pier, watersports equipment, a tiki bar and a seafood restaurant. The Moorings Village and Spa is a collection of 18 private villas nestled amongst the gardens of what was once a coconut plantation. The interiors are beautiful and you have your own private stretch of white sandy beach. 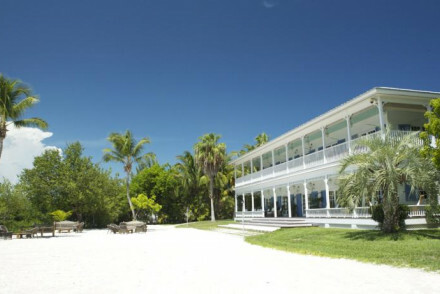 Hawks Cay Resort is great for all ages and offers a private beach, jet skiing, snorkelling etc. Plus there are three onsite restaurants and a wide range of accommodation. For those looking for some additional privacy, visit our online partner Booking.com to browse their selection of private apartments and villas. International flights fly into Miami International Airport or Ft. Lauderdale-Hollywood International Airport, both of which are about an hour's drive from the gateway to the Keys. Florida Keys is also serviced by domestic flights to Key West International Airport. For those keen on hiring a car we recommend you visit our online partner Rentalcars for the best prices. To escape Florida's notorious humidity avoid visiting from June to December. The best time to visit is from March to May when the weather is at its finest and the temperature varies from 24 to 27c.